How are you is a common question to be asked in any language. While most people tend to say “sto bene” I’m okay, there are many other responses that can be expressed. For instance, what if you are not well? Or, what if you are great? 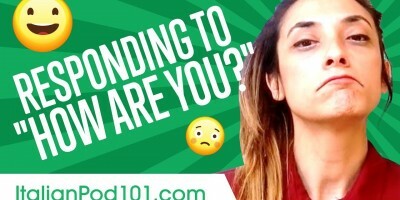 Learn how to respond appropriately to the question of how are you according to your feeling at the time of asking in this video.